March | 2012 | Can't Believe It's Allergy Free! Roasting caramelizes vegetables, thus enhancing flavor while retaining crunchy textures. Roasted veggies make excellent snacks or sides for children. Well known nutritionist, Marion Nestle writes –”…one thirds of all vegetables consumed in the USA come from just three sources: French fries, potato chips and iceberg lettuce.” Roasted veggies can take the prime spot for healthy and ‘yum’ food. Place them in a single layer on a roasting pan/ heavy bottom skillet or on a baking sheet when roasting in the oven. 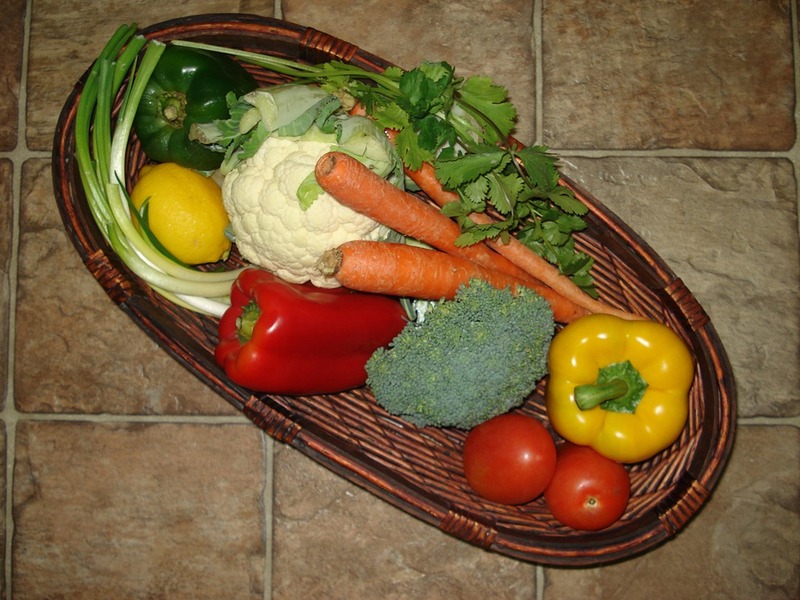 Veggies should not be crowded together, or else they will steam up and lose their crispness. Cut vegetables to the same size for uniform cooking. Even though some of the water soluble vitamins, such as Vitamin C and the B group vitamins, are lost to some extent in the cooking process,the nutrients in food are better assimilated by the body when food is cooked. Lightly spray/drizzle baking sheet with oil. Cut broccoli into florets. Trim spears by peeling the tough skin on the outside and toss them in. Roast 10 minutes. Pull out oven rack a little and turn broccoli florets over with spatula. Drizzle with olive oil. Roast 6-7 minutes more. Pierce stem with knife to check. Snap off tips of beans at both ends and peel off any fibrous strands that come with it. Place in single layer on lightly oiled baking sheet. Roast for 5 minutes. Stir, and roast for 5 minutes more. If beans are too dry, throw in a quarter cup of water. Remove from oven. Squeeze a few drops of lemon / lime juice. Children love it dotted with a little butter. For those with dairy allergy, serve with a light vinaigrette dressing. 1 pound unpeeled red potatoes, diced. Place florets and potatoes in single layer on a lightly greased baking sheet, and roast for 10 minutes. Stir, roast for 5 minutes more. If still hard but caramelized, drizzle with 2-3 Tablespoons of water and cook for a further 3 minutes. Remove from oven, cut up butter and toss onto hot cauliflower. Sprinkle with salt and pepper. Toss in baby carrots drizzled with olive oil and roast for 10 minutes. Drizzle with butter and maple syrup dressing and roast for 5 minutes more. Great accompaniment with meat and potatoes! 3 medium carrots. washed, peeled and cut into 1/2 “ cubes. On medium heat, in a large skillet, melt butter / add olive oil and toss in carrots and parsnips. Sauté for a minute. Cover and cook for 5 minutes. Add 1/4 cup water. lower heat. Add raisins to hot veggies. Make your servings even more tasty colorful and interesting by adding roasted fruit to complement the dish. Place grapes on baking sheet. Drizzle oil to coat. Bake 10-12 minutes or till color deepens and skins begin to split. Combine other roasted fruits with veggies. Hard fruits like apples and pears roast well and are delicious caramelized. Canned pineapples combine well with broccoli and red peppers. Cut peaches into halves and remove stones. Fill in half a teaspoon of brown sugar into each half and smear it into the fruit with the back of a spoon. Place peach halves on a lightly oiled baking sheet, cut side facing down. Bake 8-10 minutes, or till fruit is soft. Roasted asparagus, grilled zucchini, squashes make healthy and tasty side dishes. Enhance nutrition and appearance by topping with caramelized sunflower seeds, pumpkin seeds, chopped dates, raisins, roasted fruit, dried blueberries, cranberries—just think color, texture, combine and create your own veggie sides. Then watch all the goodness go down with relish! My grandkids love this sweet and tart tasting assorted berries desert. Its so easy to put together, and so satisfying for the whole family. 2 (16 ounce) packages frozen, unsweetened mixed berries, or 4 cups mixed fresh berries of your choice. (Try blue berries, raspberries, strawberries). Rinse fresh fruit well. Strawberries should be hulled and sliced. Combine oats, rice flour, brown sugar and vanilla extract. Using fingers or two knives. cut butter into mixture and work it in until mixture resembles coarse breadcrumbs. Bake about 40 minutes, or until the crumble topping is golden brown and fruit bubbles up around it. 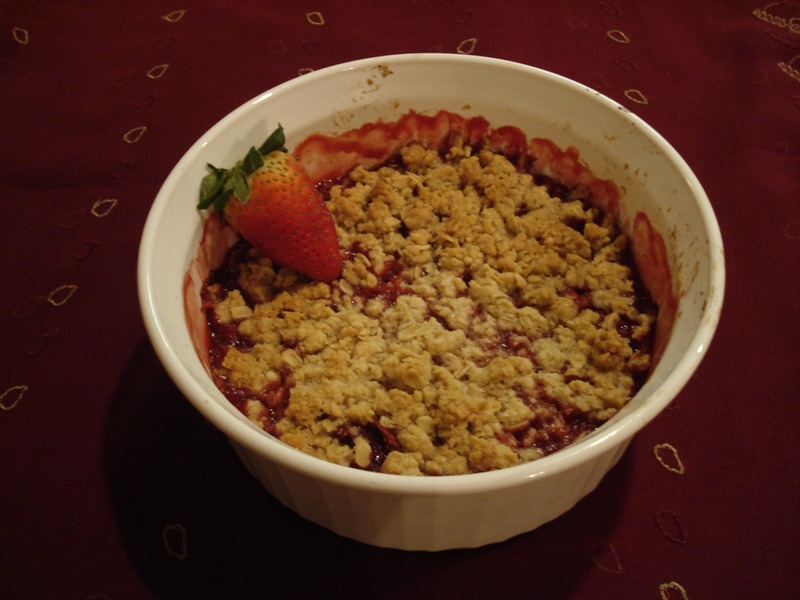 Transfer to a wire rack and allow Berry Crumble to cool for a few minutes. Whoever thought that cream of rice could be so versatile? 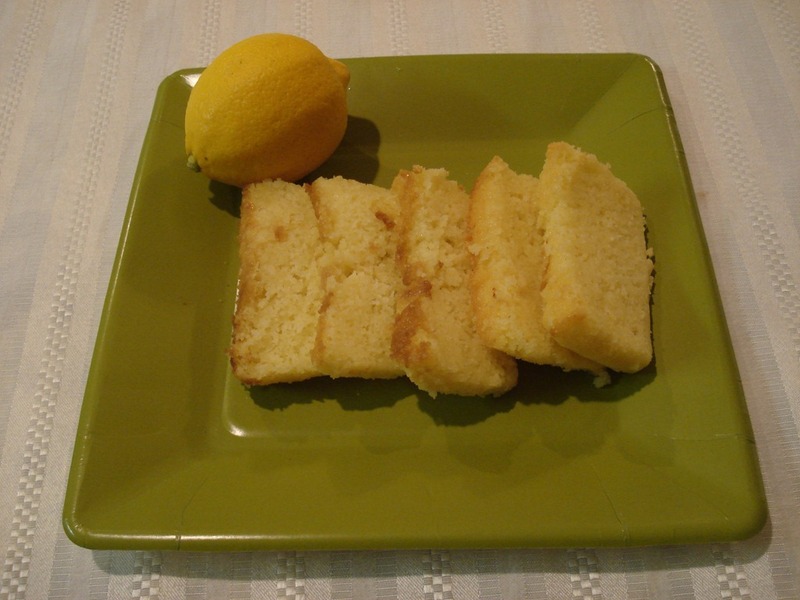 This tasty cake is a good afternoon snack, and is easy to pack with school lunch or carry while traveling. In a large bowl, combine cream of rice, yogurt, sugar, melted butter, egg replacer and a pinch of salt. Add lemon juice, zest and xanthan gum, food color, and mix well, using a large spoon / spatula. Cover and keep aside for about 2 hours. When oven is ready, mix warm milk into baking soda, add to prepared cake mixture and whisk vigorously. Pour batter into an 8” (2 pound) loaf pan. Place in oven and bake for 50 minutes or till knife comes out clean.